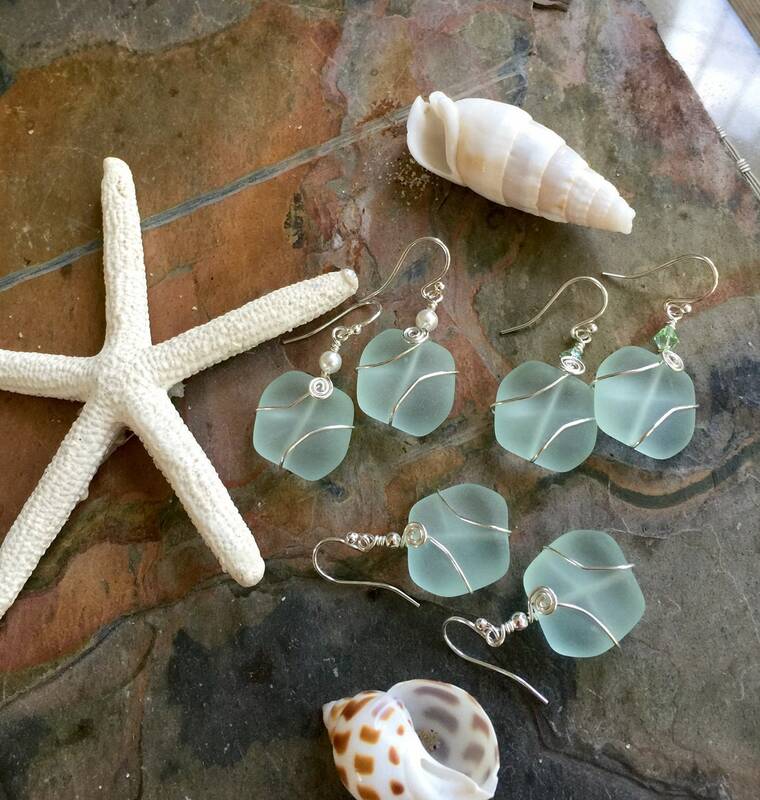 Sea glass Beads in shade of light Sea Green !!! 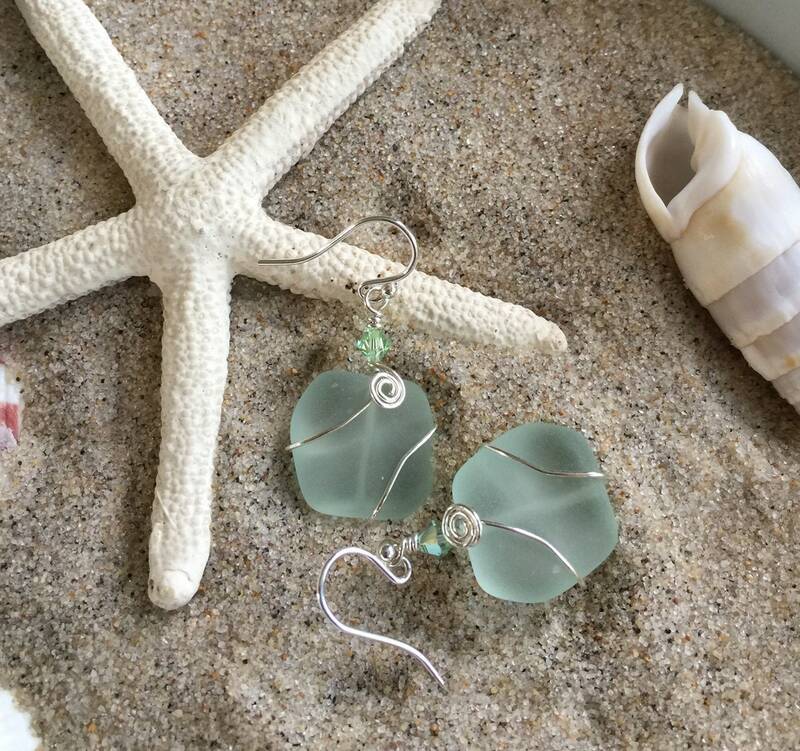 These beautiful earrings are carefully Wire Wrapped with .925 sterling silver wires on recycled unique, wavy nugget sea glass beads approximately 18 x 17mm. 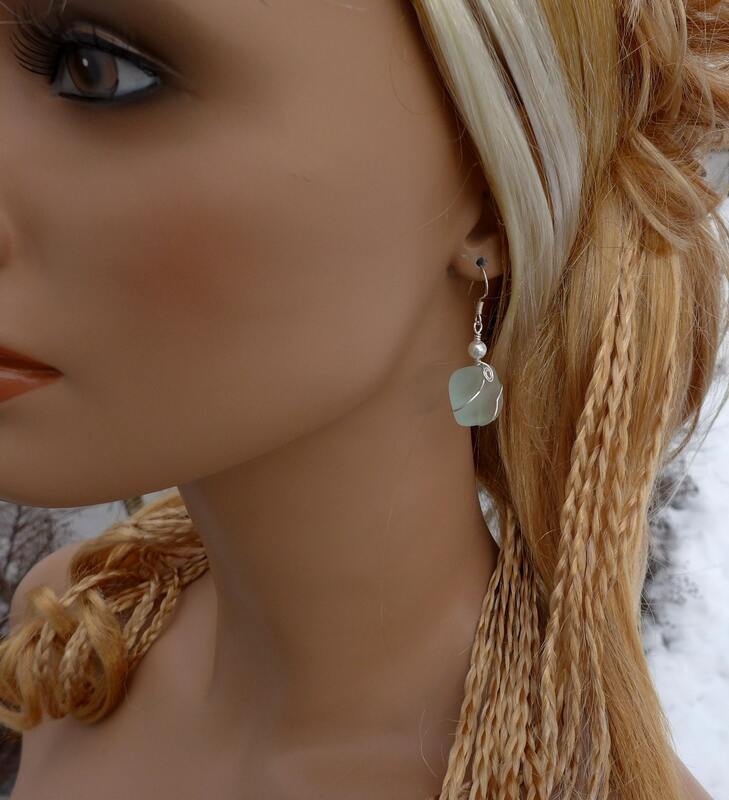 They are dangling down from crystals, Swarovski white pearl beads. 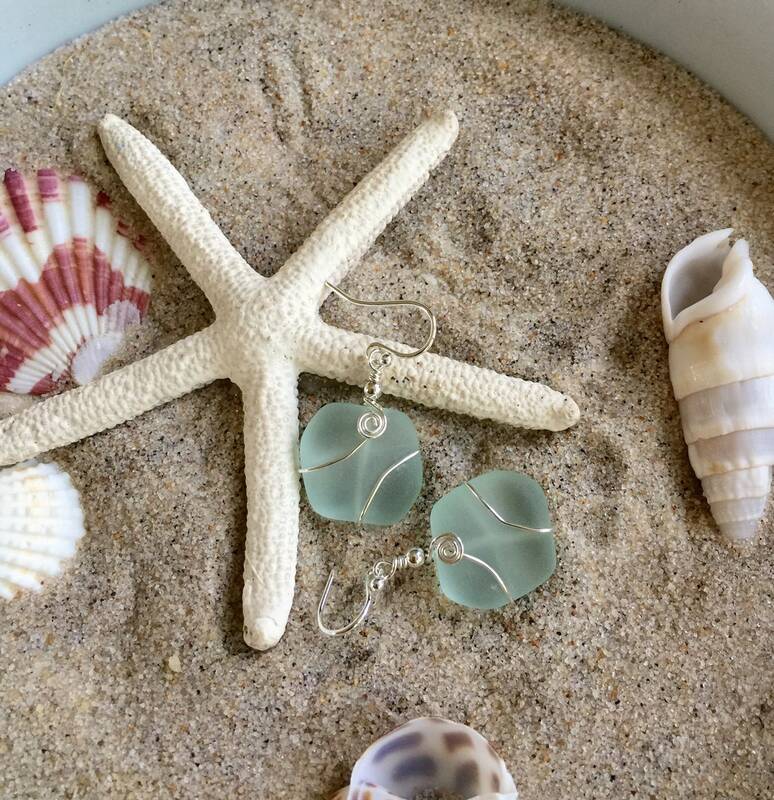 They dangle nicely slightly over 1 inch from the bottom of the .925 sterling silver earwires. 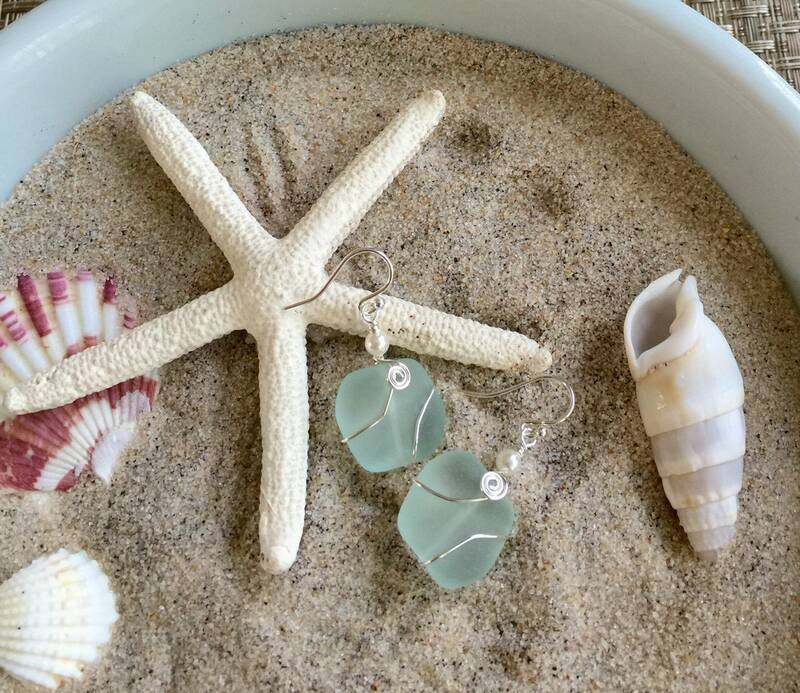 A ray of sunshine shines on your dangling from your ears! 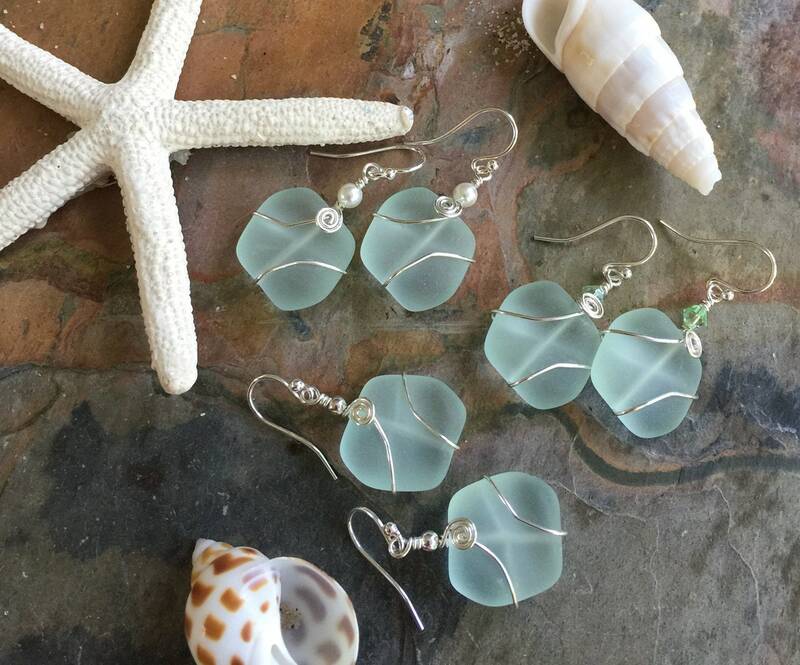 These are beautifully made and the sea glass is nicely rounded. I love them. My daughter picked these out -- I loved them so much that I ordered a pair for me! Thank you for the great work.